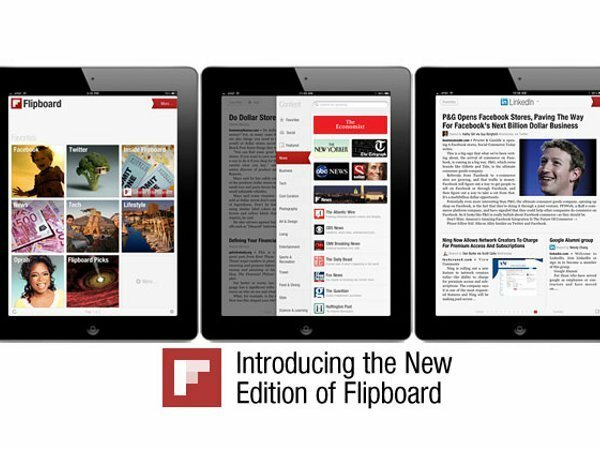 Happy birthday to you, happy birthday to you, happy birthday oh Flipboard, happy birthday to you! 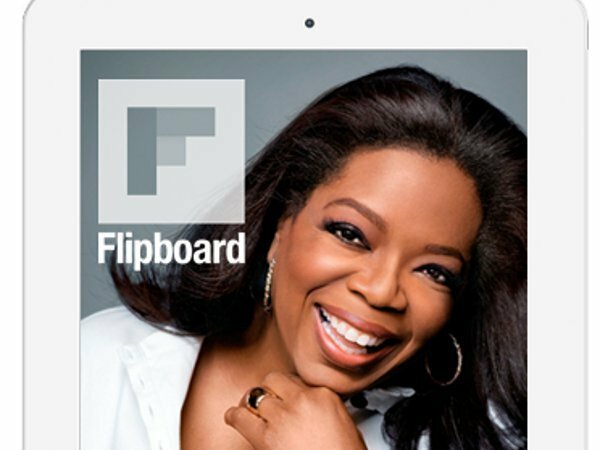 For Flipboard's second birthday, the mobile media magazine app the company announced the numbers its been seeing in its usership and surprise, surprise, they quadrupled their user numbers since the 5 million user figure it released at the end of 2011. 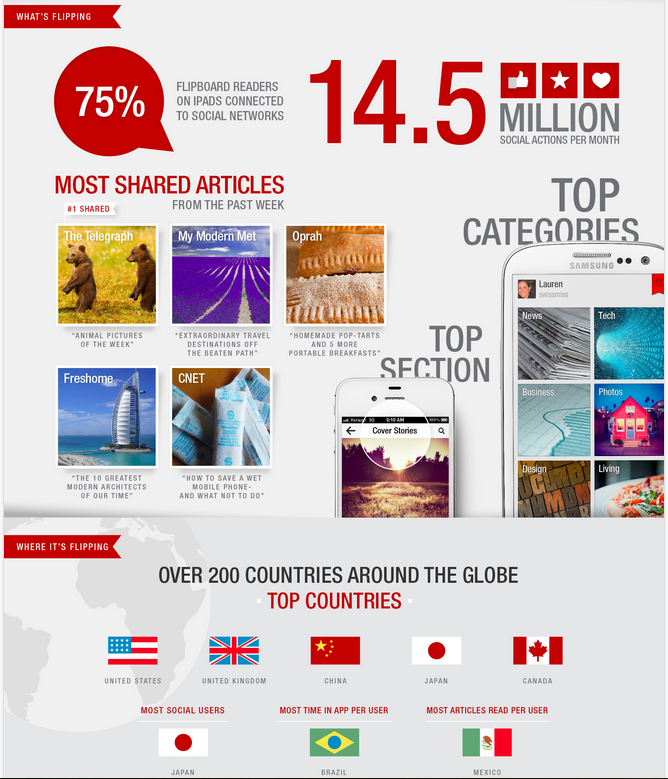 Since 2011, Flipboard has launched on Android, after being an iOS-centric platform and they see more than 3 billion flips per month. The flips per month figure is an indication of in-app activity where users flip the pages of each mobile magazine entry. 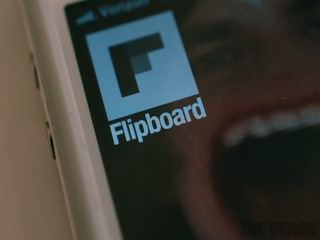 When Flipboard was getting ready to launch the iPhone last year, the company was seeing 650 million flips per month. There are around 1.5 million users logging in daily, spending an average of 86 minutes per month in the app. It's also worth noting that 75% of readers connect their social networks to Flipboard and are making a total of 14.5 million social actions such as favoriting or liking an article each month. Flipboard has also been buzzing about its efforts to build localized versions of its application -- so far the local versions live are China, Japan, France, and Korea. The company goal is to reach at 200 countries worldwide, not all of which will be totally localized app versions. Already it has been seen that Brazilian users spend the most time in the app, while Mexican users read the most articles per user, and the Japanese are the most social. Having this information, content producers can cater to their readers more precisely and communicate in the language that they are speaking. 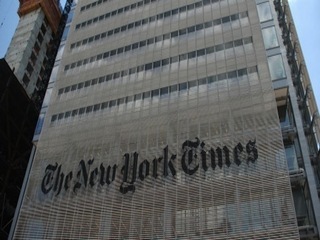 Flipboard also found that its biggest tablet reading day is also the big newspaper reading day -- Sunday. Since the company has a paywall deal with the NYTimes now, Flipboard can cater to those weekend readers that want in-depth, feature articles to languish through over mimosas and coffee. Meanwhile, the biggest day to view Flipboard via phone is Thursday -- anyone think it is due to the waining interest people have in work peaks on Thursday? 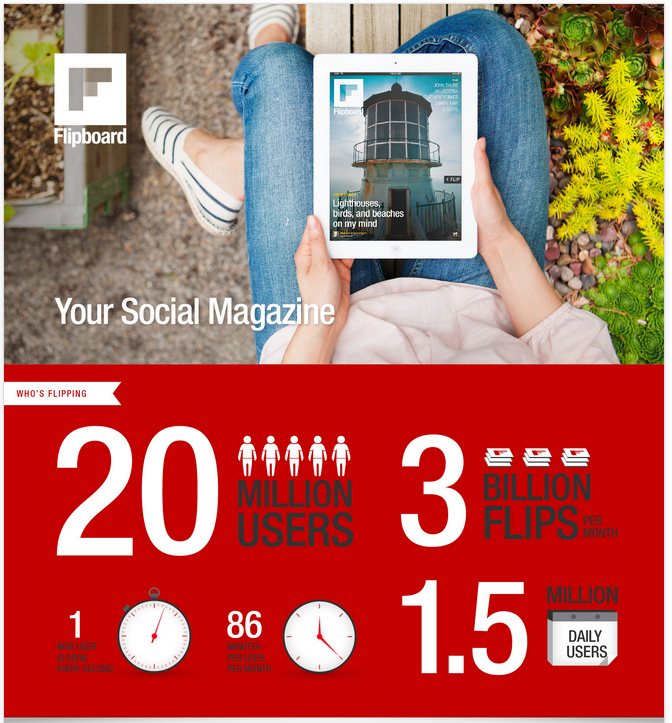 Flipboard also will take time to celebrate that fact that it adds 1 new user per second on average.